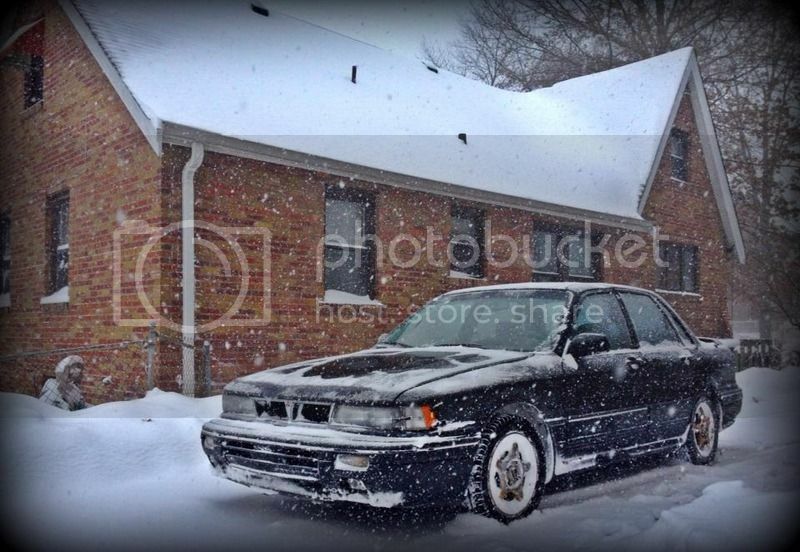 Galant VR-4 Forums » Marketplace » Cars For Sale » FS: 1991 Galant VR-4 Shell, MO $800. 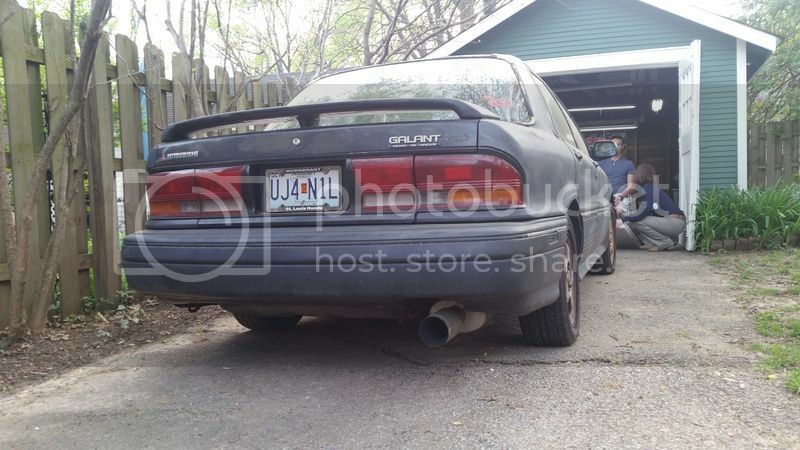 FS: 1991 Galant VR-4 Shell, MO $800. 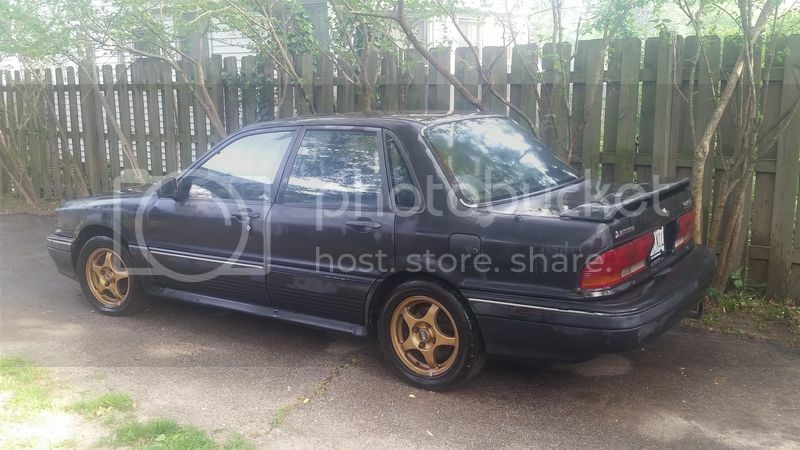 A rare car, that needs some motivation to get moving, or the more likely fate a roller for someone else project. 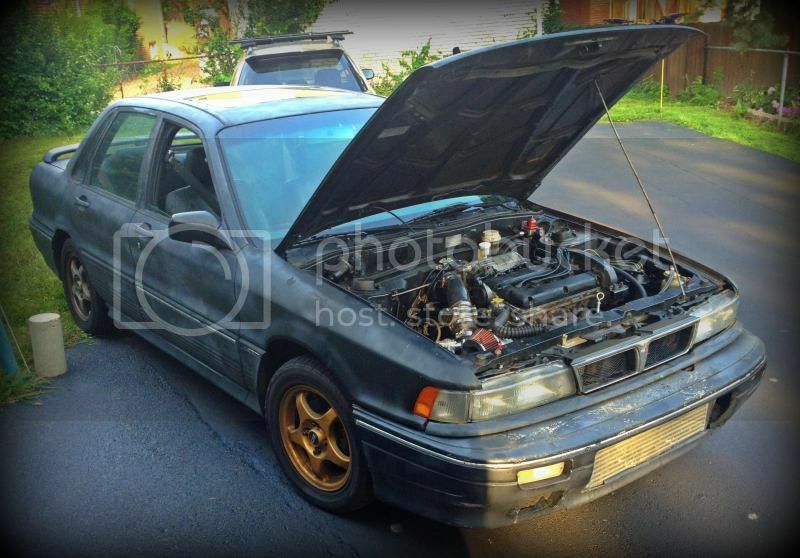 I unfortunately do not have room to store both of my project cars so one must go. Previous owner painted the car chalkboard black for some reason. Light damage over the drivers door. The body is overall pretty straight.. Vehicle was stolen 10+ years ago and found a year or so later (according to CarFax) The vehicle therefore was reported with a salvage title. I've replaced most all wearable suspension items. Wheel bearings, Ball joints, Tie Rods etc. Fortunately the car was able to go fast a few times before it lost its heart. Car was very stable after updating the suspension. The 4WS has been deleted. If you'd like power steering The rack would need to be replaced. Interior is in okay shape given the condition of the exterior. Drivers seat has a tear through the center section. I can provide pictures to serious buyers. I'm a motivated seller. 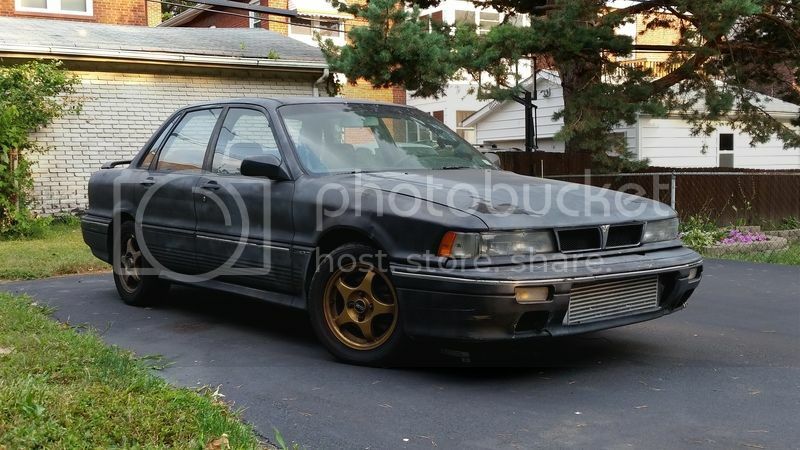 As you all know this is a rare car and isn't far from putting smiles on peoples faces. If this doesn't get picked up I will be forced to pull the important stuff and scrap the rest of the car. Front mount is not included. You're all fur coat and no trousers. You are. What number is this one? Would you be willing to swap parts? I could use a better hood. Pictures of the interior? How much do u think would cost shipping to arizona? Is the car originally Belize Green or Nile Black? Generated in 0.059 seconds in which 0.043 seconds were spent on a total of 14 queries. Turbo powered.